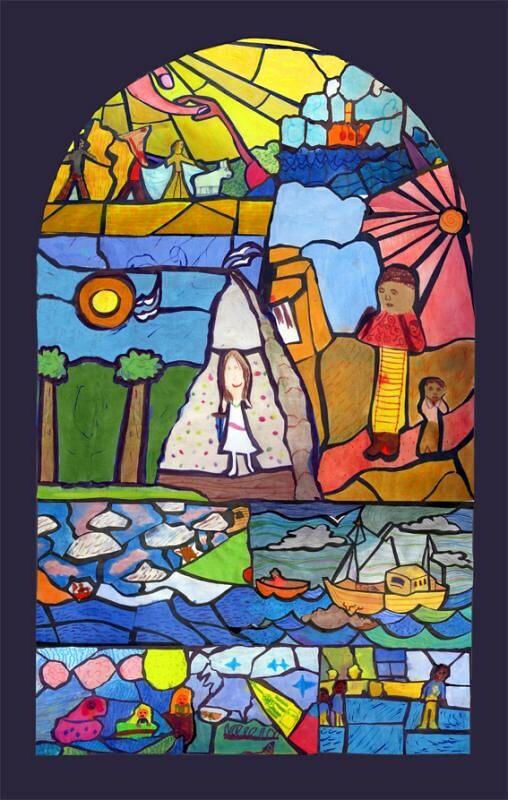 Residents and visitors are being given the chance to see an unusual display of artwork by children from the Five Islands School in the Parish Church. 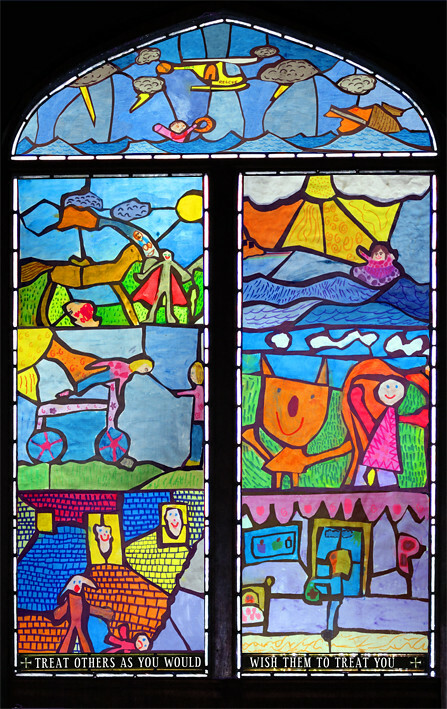 Earlier this year, year 6 pupils from St Mary’s and the off-island school bases designed their own stained glass windows. 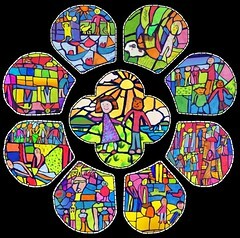 The four fabric panels are based on window shapes from the churches on their home islands and the images are from religious stories, brought up to date to reflect the children’s own experiences. The project was organised by Susanna Gates, lead teacher at Tresco and Bryher School. 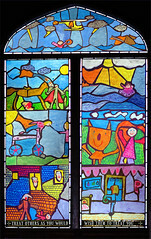 Cornwall artist Tony Minions helped the children with their designs and printed them onto the special fabric, which allows the light through to give the impression of glass. Canon Paul Miller said it’s an unusual and fun way for the children to engage with religion and he says he’s delighted that the community is being given a chance to see their work. Paul says it’s much harder for the church to reach children these days, especially with all the new distractions on Sundays like sports and shopping, so this is a way to explore religion with the children on their own terms. He says he’s been amazed by their insight and says some of them have surprised themselves with how much artistic talent they have. The project was funded by the Archbishop of Canterbury’s Fund for Mission and received support from the School PTFA to set up the exhibition. 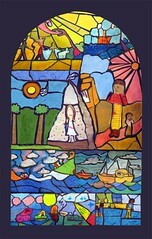 The windows will be on display in the church until the end of September. 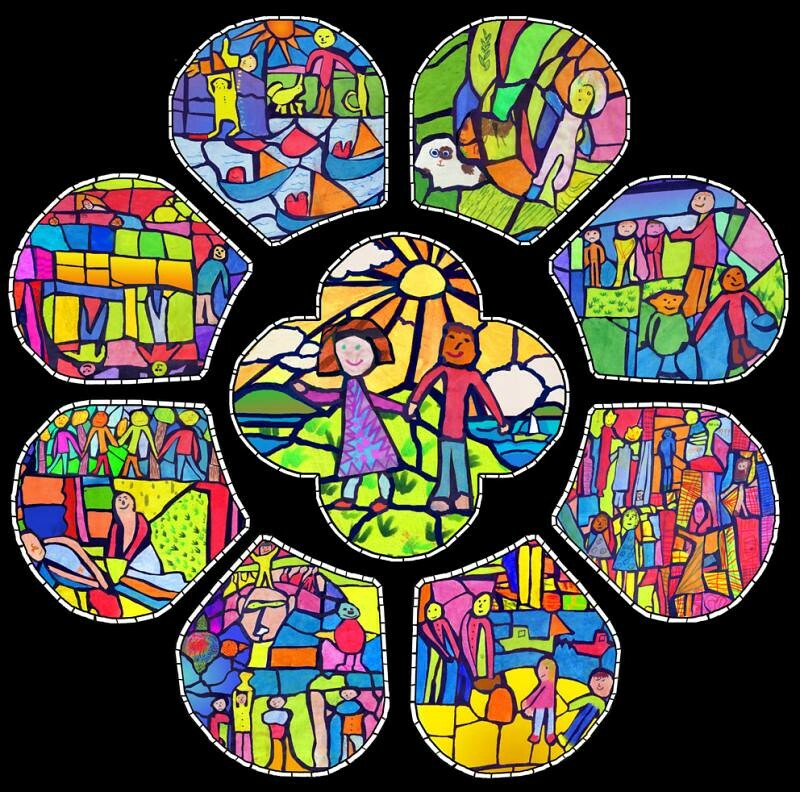 And Paul says he delighted that the Bishop has given permission for the art to be displayed in Truro Cathedral for a week, from the 26th to 31st October.